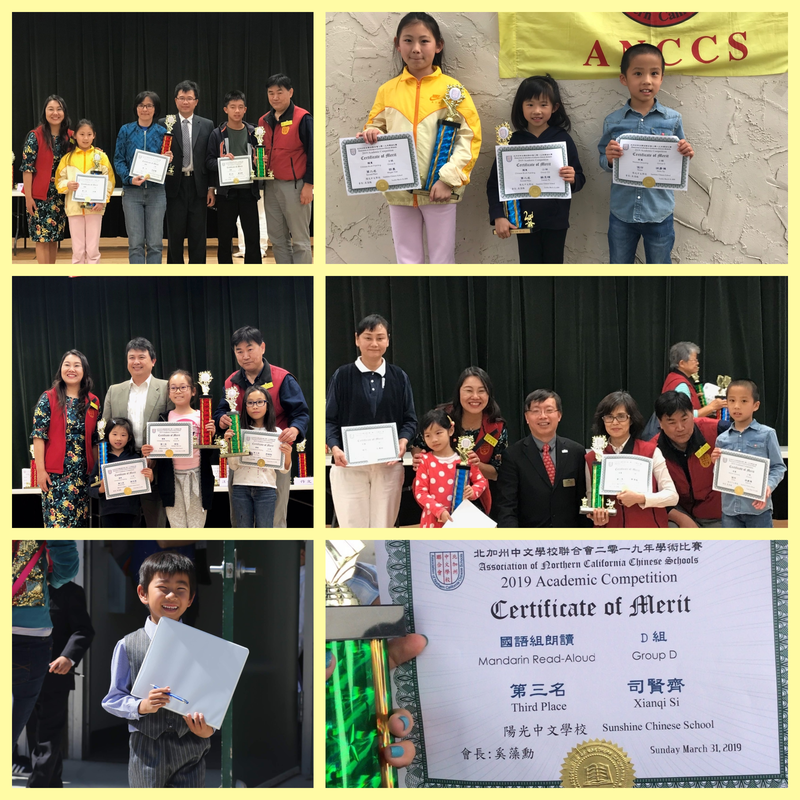 We would like to take the time to acknowledge the Sunshine students who participated in the ANCCS Chinese Competition this year, as well as remind you about some upcoming events in April. Thank you for staying updated with the Sunshine School Newsletter! We would like to congratulate all the Sunshine students who participated in the ANCCS Chinese Competition on March 31st! We are incredibly proud of our students, teachers, and parents for these great achievements! Kindergarten will have their egg hunt on Thursday, April 18th at 4:30 PM on the Turlock Field (1363 Turlock Lane). Students can bring a bucket or a basket for the egg hunt. Parents are invited to attend. Please wear comfortable shoes and clothes. You may also bring a camera or camcorder to record your memories! Please, note that the Berryessa Unified School District has Spring Break from Friday, April 19th to Friday, April 26th. Sunshine School will be OPEN during these days from 9:00 AM - 6:30 PM as a full-day program. If you need daycare for these days, please inquire and sign up with your lead teacher. 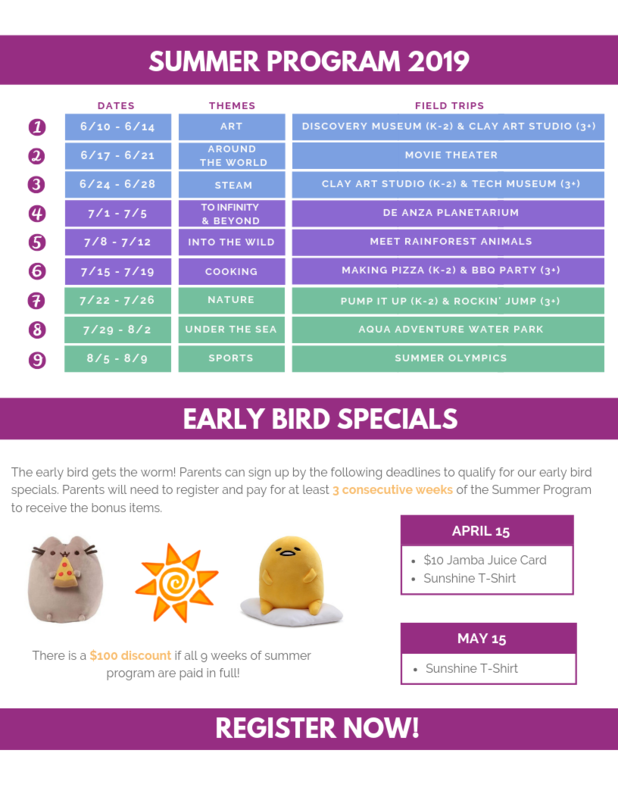 The second deadline for our summer program is April 15th. Register now to reserve your spot and gifts!